Pawsome Places to enjoy with your favorite pup! Some of our best friends happen to be furry and four-legged. With the list below, when the desire for an adventure, drink, walk, (or ice cream!) beckons, you no longer have to leave your canine best friend behind. Visit any of our team’s top 10 pup-friendly spots to treat yourself and your pup! 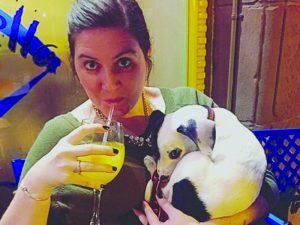 Bring your four footed family member out to the Wine Bin for yappy hour! Held outdoors in our private parking lot from 6-9 pm. Enjoy wines, craft beer, and live music, with additional tastings inside the store. The event itself is free! All donations and a portion of the sales that evening go directly to an animal charity. 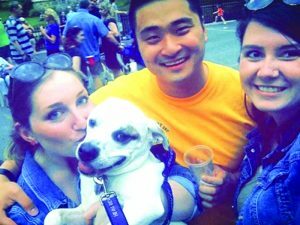 Unwind with wine and friends while raising money for pups in need! 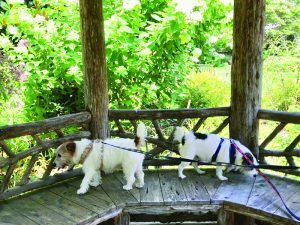 Share a stroll with your pup and enjoy beautiful scenery at Historic London Town and Gardens, a twenty-three acre park featuring Colonial history, archaeology, and horticulture on the South River in Edgewater, Maryland. Their mission is “to inspire a deeper understanding of our region’s history, environment, culture, and arts through living history, historical artifacts, experiential public gardens, and collaborative cultural & arts programs.” There are always a variety of events going on, including a Summer Concert series! Best yet, leashed dogs are welcome in the majority of the park, including the gardens and all buildings except for the historic William Brown House. 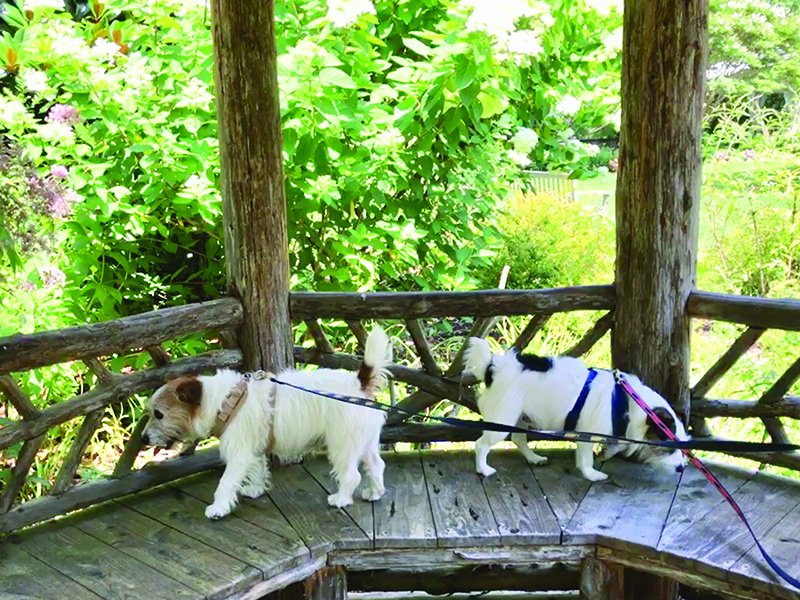 The Historic London Town and Gardens is a wonderful place for pups to explore! Located on historic Sykesville Main Street, Market Tavern is exactly what the name says: a gourmet market and neighborhood tavern. At the bar you’ll find local beer, classic cocktails and European style tapas, and in the market, you’ll find everything you need to satisfy your culinary cravings including fresh local cheeses, charcuterie, Salazon salted chocolate, artisan spreads, seasonings, gourmet snacks, and much more. The best part? Dogs are welcome inside. 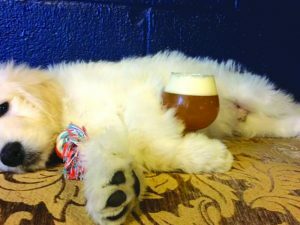 Hysteria is a pup and kid-friendly brewery in Columbia, that is committed to continual experimentation and strives to make bold, flavorful beers. 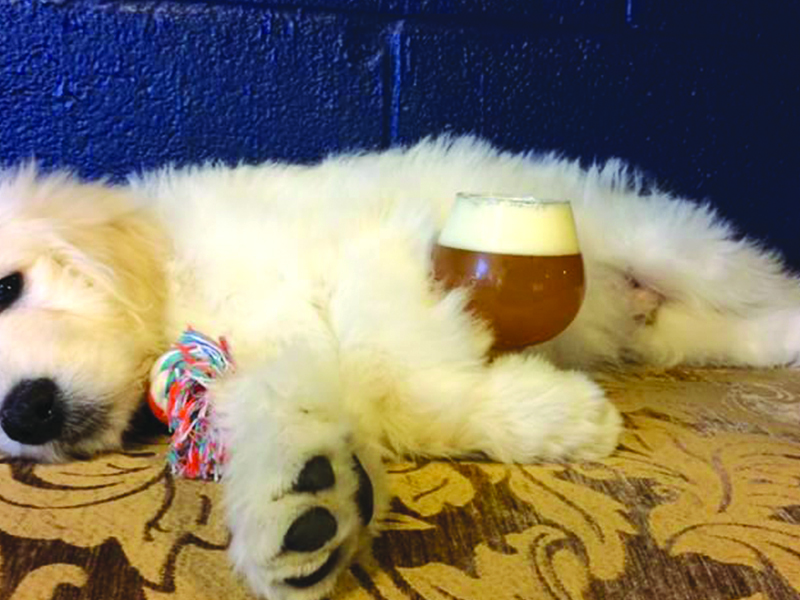 The inspiration for their taproom where both humans and dogs are welcome to relax is the innovative, collaborative, and community-driven culture that makes craft beer special. You’re welcome to join the ongoing events including paint nights, game nights, a book club, food trucks, and more, or simply show up, grab a book from the library, and settle down with your pup for a cuddle with a cool pint. Who wouldn’t want to enjoy cuddles and a cold pint? A family-owned, 2nd generation ice cream shop located on Patterson Park in the Canton neighborhood of Baltimore, they are the only shop in Maryland with more than 100 flavors of handmade soft serve available every single day! 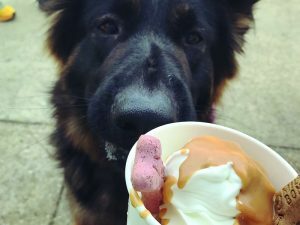 They also have Doggie Sundaes (vanilla ice cream, peanut butter, and a dog treat) available in 2 sizes, perfect for both large and small dogs. Ordering with your pup is easy at their walk-up window, and you’re welcome to enjoy your delicious treats together on their outdoor benches and seating. Located in the beautiful Baltimore waterfront neighborhood of Canton, at Lighthouse Point, Bo Brooks Restaurant has been serving fantastic steamed crabs and seafood in Maryland since 1964. From crab feasts and private dinners to offsite and large-party catering, they’ve got all the bases covered. Most importantly, pups are treated to their own turf area where dog toys are welcome and water bowls are kept full, all while you enjoy the beautiful harbor views! In the heart of historic Frederick, Isabella’s has become a favorite destination for local residents and worldwide travelers alike in search of a truly Mediterranean dining experience. Your dog is welcome to relax with you on the comfortable Market Street patio, while you enjoy tapas (snacks, canapés, or small plates that originate in Spain that are meant to be shared), or any of the wide variety of entrées for available for all appetites! Delicious food and drinks are made all the sweeter with a pup for company! Breakfast near the water’s edge or enjoy a light alfresco lunch on the sun-dappled terrace with your favorite canine companion. Showcasing the best of land and sea, Stars’ eclectic menu champions seasonal, local specialties. Watch the sunlight dance across the Miles River as you savor every mouthful. Fine wines and discreet service offer the perfect accompaniment to time well spent with your pup. 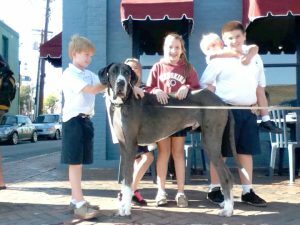 Located on Market Space in the Historical District of Annapolis, this pup-friendly establishment is nestled among a shopping and sightseeing haven! Have lunch and experience the unique charm of the world’s sailing capital or visit them for dinner to check out the extraordinary nightlife of Annapolis. Established in 1830, The Federal House has a handicapped entrance, is pup friendly, and partners with oyster recovery, Navy Athletics, and Paws Boutique. 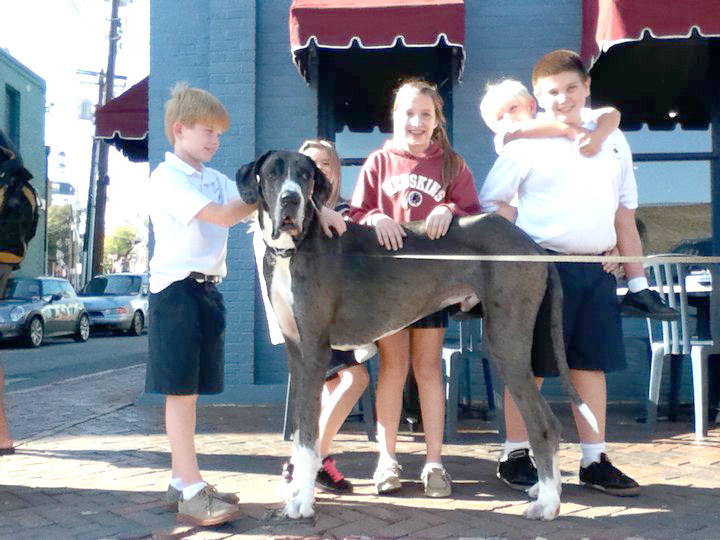 Pups of all sizes are welcome at The Federal House Bar & Grille! Dogs are welcome on the patio of these popular pizza and drafthouses! From light and refreshing to rich and full-bodied, the wide variety of premium house-brewed beers will quench any thirst. Served two at a time, you can keep it simple with one of their original drafts, or get inspired and sample one of their mixed breeds. Nothing goes better with one of their delicious draft beers than a piping hot Pub Dog pizza! With fresh ingredients and creative combinations, the hand-crafted pizzas, salads and appetizers will please any appetite! 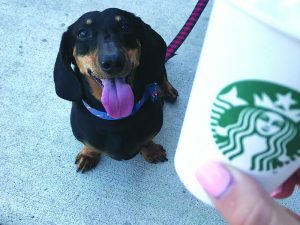 We can’t list our favorite pup-friendly places without recognizing Starbucks, where you can get yourself a Cappuccino, and your pup a free “Puppuccino” (a cup of whipped cream). Most locations have an outdoor patio so you can enjoy some java while reading or working (Starbucks also offers free WiFi) with your pup at your side. If you’re ever at the Ellicott City Starbucks location, pop by our office headquarters right next door! A free Puppucinno at Starbucks is a great way to make your pup’s day!